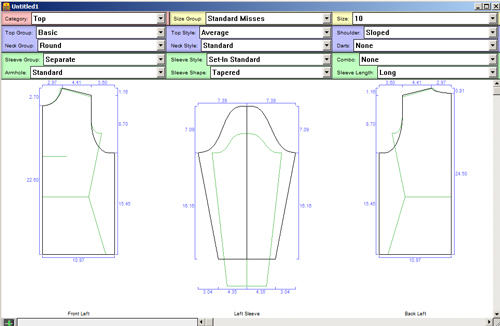 Garment Designer for Macintosh is a garment design program that has been on the market since 2001. It allows sewers to print a pattern, in tiled pages from a standard printer, to tape together. It also allows knitters to build and chart a garment. Knitters quickly found that the paper pattern was an excellent tool to use for blocking knits into perfect shape. Garment Styler was the previous version available from 1995 to 2001.